Are we going to get jailed for this? (SPOT.ph) Cyberspace has become the platform of the best and worst things that people can come up with when they’re online. While it’s a hotbed of game-changing ideas and artistic expression, it has also turned into a breeding ground for trolls and cyberthugs. That being said, well-meaning Pinoy lawmakers thought it best to pass Republic Act No. 10175 or The Cybercrime Prevention Act of 2012. But, wait! There’s a catch. This very same law that professes to protect us from those who would do us wrong via digital means also threatens to take away our freedom to say what we want. Senator Tito Sotto proudly owned up to the fact that he was responsible for inserting the libel clause into the law. Senator Chiz Escudero called the insertion a "mistake" and has said that he’ll move to have the law repealed. Meanwhile, Senator TG Guingona (along with the other senators who didn’t back the law) continues to be against the law. For its part, Malacañang said President Noynoy Aquino thoroughly reviewed the law before he affixed his signature to it-a fact which strikes some people as strange. There are those who have remarked that if P-Noy’s father, Ninoy, was still around, he probably be among those protesting what has come to be called as "cyber martial law." 1. It only wants to hear nice things . If you’re a law-abiding citizen who happens to use blogs, Facebook, and Twitter to let the world know about your beef against, say, certain elected officials who are far from being geniuses-then you’ve been living a lie. 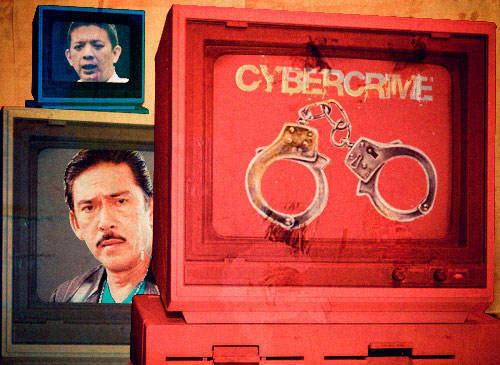 Under the Cybercrime Prevention Act, you’re just like any other cybercriminal. Your tweet about the barangay captain who loves San Miguel more than his job? That could be classified as libel, which is defined in the Revised Penal Code as "the public and malicious imputation of a crime, or of a vice or defect, real or imaginary, or any act, omission, condition, status, or circumstance tending to cause the dishonor, discredit, or contempt of a natural or juridical person..." Take note of the part where it says "real or imaginary." You’re damned if you’re lying and you’re damned if you’re telling the truth. 2. It champions the dead by asking the living to shut up. Under the Cybercrime Prevention Act, you would also be committing a crime if you "blacken the memory of one who is dead." So, what happens if the person who died was a criminal who molested kids, backed a law that resulted in thousands of people being tortured, or killed journalists-and you’re documenting his or her evil deeds for a history book? Out of being nice, do you erase the "bad parts" of his or her life? The law says, if you can’t say anything good, then you better not say anything at all. That’s great for petty issues but not when we’re talking about people who use their position to take advantage of defenseless individuals. 3. It’s so "special" that it hurts. In an InterAksyon.com article, News5 resource person Atty. Mel Sta. Maria-who teachers at the Ateneo de Manila University School of Law-pointed out that the Cybercrime Prevention Act is tagged as a mala prohibita law. Sta. Maria explained: "It is an accepted legal rule that offenses under special laws are considered mala prohibita as distinguished from mala in se. [For mala in se], there must be a criminal mind to be convicted. In murder, theft, robbery and other offenses punished by our Revised Penal Code, for example, intention to do wrong is an essential element. [For mala prohibita], there need not be a criminal mind. The mere perpetuation of the prohibited act is enough." So, even if you’re kidding around by using somebody’s name as a verb or noun to signify not-too-admirable acts (Noynoying, Sottomy, etc), you could get arrested. 4. It’s a time traveler. In an InterAksyon.com article written by Patrick Villavicencio, University of the Philippines College of Law Professor Atty. JJ Disini said that under the Cybercrime Prevention Act of 2012 the so-called "victims" and their lawyers "could argue in court that old libelous posts [that are] still live today can be charged with online libel." The report further quoted Disini, who explained, "Kasi pwede nilang sabihin na (Because it could mean) by keeping it there today, you're still publishing it now. So if you're still publishing it after the law took effect, then you're liable for its publication today." So, that scathing post about your ex that you put up way back in 2004? You could end up going to jail for that. It’s an I Know What You Posted Several Summers Ago scenario. 5. It’s outdated. An InterAksyon.com article, citing Human Rights Watch (HRW) Asia, noted: "The Philippines’ libel law, enacted during the American colonial period and intended mainly to stifle dissent, continues to consider the offense a criminal act. Media organizations contend the law on libel has most often been used by people in power to harass journalists and muzzle critical reportage." 6. It won’t like you liking what it doesn’t like. Those who play a part in unwittingly or willfully encouraging the spread of libelous content shall be charged for abetting libel. That means the act of clicking the "Like" button of Facebook or retweeting posts on Twitter may be tagged as unlawful as well. Time to "unlike" those anti-establishment Facebook pages and unfollow those fake Twitter accounts spoofing persons in power. 7. It’s prudish. 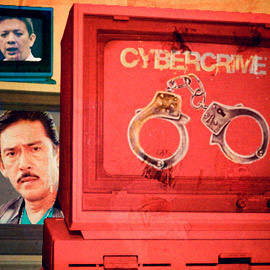 Under the Cybercrime Prevention Act, cybersex is a crime. We agree that it is so-when it’s a profit-oriented venture taking advantage of hapless individuals such as minors or those who have been directly or indirectly coerced into the seedy industry. The law defines cybersex thus: "The willful engagement, maintenance, control, or operation, directly or indirectly, of any lascivious exhibition of sexual organs or sexual activity, with the aid of a computer system, for favor or consideration." However, what if cybersex is done by two consenting adults? If a woman sends a picture of herself eating ice cream in a suggestive manner to her boyfriend, will she be stoned to death sent to jail if someone rats her out? <>9. It won’t play fair. In an InterAksyon.com article, Atty. Mel Sta. Maria pointed out: "Section 1 of Article III of the Bill of Rights of the 1987 Constitution provides that ’no person shall be deprived of life, liberty or property without due process of law, nor shall any person be denied the equal protection of the laws.’ However, under Section 19 of the Cybercrime Prevention Act, ’when a computer data is prima facie found to be in violation of the provisions of this Act, the Department of Justice (DOJ) shall issue an order to restrict or block access to such computer.’" No court intervention is needed, the DOJ can go right ahead and compel you to stop publishing your posts. <>10. It’s got killer penalties. If you get nabbed for online libel, you may spend a maxiumum of 12 years in prison and be fined a maximum of ₱1,000,000. It’s like a trick question: Would you rather shell out the hefty amount that would kill you or would you rather waste 12 years of your life behind bars, where, at some point, you’d wish you were dead?